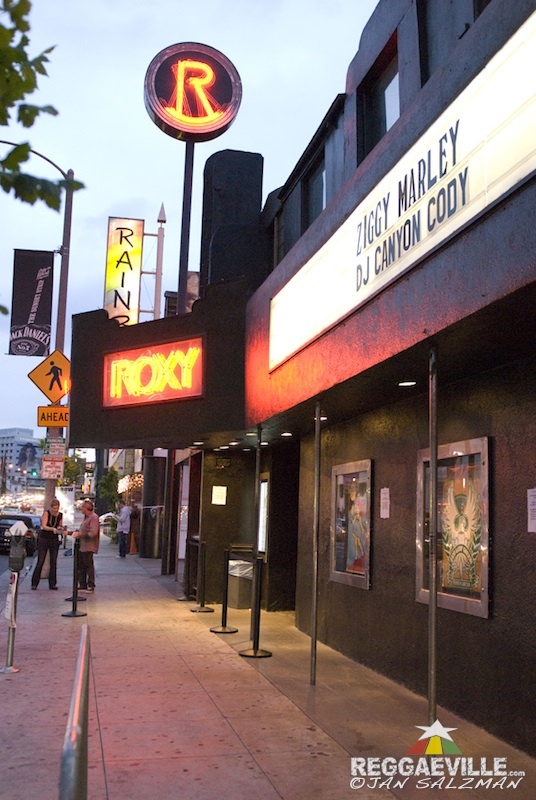 Whether or not Ziggy Marley knew some of his sold-out audience had driven hours for a chance to see him perform at The Roxy in Los Angeles, an intimate, historic club on the Sunset Strip, or that they had waited nearly as long in a line stretching down the block just to get in- a human traffic jam befitting of the surrounding Southern California highways- causing the show to start 30 minutes late, he certainly made it well-worth the effort. In a 90-minute concert streamed simultaneously on Facebook, Marley and his eight-piece band weaved their way through mostly latter-career material, leaving room for a few nods to his father on the 35th anniversary of the elder’s Kaya. Pacing the show like a wave, Marley gained strength as it rolled to shore, then crested and resurged again. 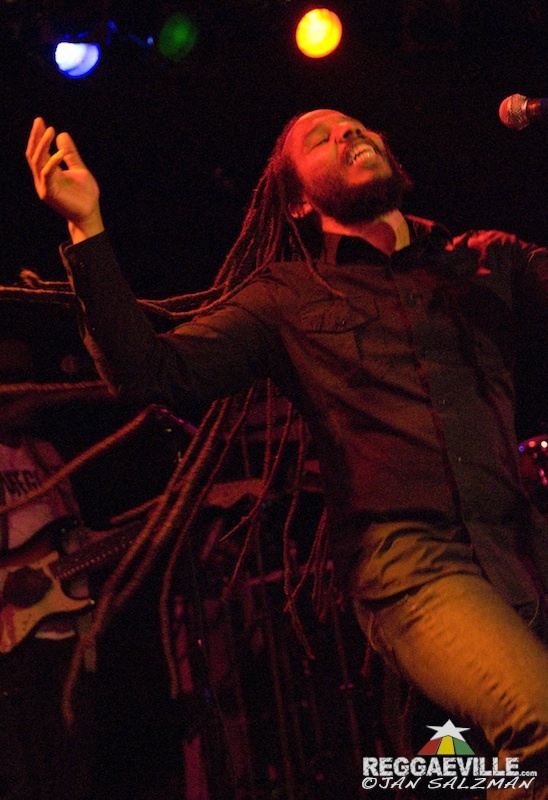 Clad in all-black jeans and shirt, the reggae luminary glided onstage as the band eased into the opening strains of Changes, the first of six songs performed off the 2011 album Wild and Free. A curious choice followed in Family Time, a light, innocuous tune that gave way to a flexing Forward to Love. It wasn’t until Personal Revolution that the tenor shifted, gaining emotional momentum as the expert ensemble displayed its dazzle. Crisp takes on A Sign and Reggae in My Head rounded off the show’s first half before the initial Bob Marley entry of the event, a surprising Africa Unite. The minor-key trance of Still The Storms became a harbinger for the pleading, almost pensive second half, dovetailing into Jah Will Be Done. The petitionary Justice extended as a platform for forays into Get Up, Stand Up, and the Selassie-inspired “War. It was clear the sunburst sentiment of earlier had set. True to Myself and closer Tomorrow People brought back the bounce as Marley and company exited, if only for a few minutes. Wild and Free kicked off the encore to pro-marijuana applause, seguing naturally into the Kaya title track, Bob’s paean to the persecuted plant. A powered and polished Is This Love and celebratory “Love is My Religion, with Beatle references in the outro, brought the concert to its blissful conclusion. Often, the tricky task of roots reggae is to educate while it entertains. Those that have found the most success have been deftly able to mix up a potent blend of the two. As a musical veteran of nearly 30 years, and with a perfectly complementary class of bandmates, Ziggy Marley once again showed he understands well this chemistry, giving his audience what they want, as well as what he believes they may need.